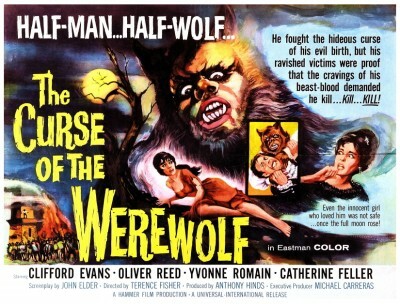 Throughout the sixties, Hammer studios continued with their blood-and-thunder remakes, including The Curse Of The Werewolf (1960), The Two Faces Of Doctor Jekyll (1960), The Brides Of Dracula (1960), The Phantom Of The Opera (1962), Kiss Of The Vampire (1964), The Evil Of Frankenstein (1964) and Dracula Prince Of Darkness (1966). Hammer also delved into other aspects of fantasy over the next few years: Science fiction in Five Million Years To Earth (1967), lesbian vampires in The Vampire Lovers (1970), witchcraft in Plague Of The Zombies (1966) and The Witches (1966), and prehistory in One Million Years BC (1966) and When Dinosaurs Ruled The Earth (1970). 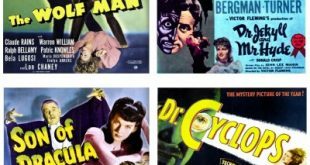 Altogether, Hammer produced more than seventy features that fall into the fantasy genre – from monsters to psychos – and while the vast majority of these films were little more than rehashes of past successes, there’s no denying the effect they had on the genre as a whole. By 1959 the effect of Hammer Films was being widely felt on the exploitation circuit in the USA. Where most of Roger Corman‘s early efforts had been shot in black-and-white, the Hammer horrors were in colour, and audiences were becoming more demanding of the quality of fantasy fare. Corman decided to combat this ‘British invasion’ by producing a series of Gothic shockers based on the works of Edgar Allan Poe. The first of these was The House Of Usher (1960) starring my old friend Vincent Price. Thanks to some fine photography by veteran Floyd Crosby, deceptively lavish sets designed by Daniel Haller and a strong central performance from Vincent as the doomed Roderick Usher, the movie proved a hit at the box-office. Quick to spot the potential market, Corman made The Pit And The Pendulum (1961) the following year, again starring Vincent Price, which was even more profitable. That same year The Premature Burial (1961) appeared, though without Vincent and while successful, failed to live up to its forerunners. 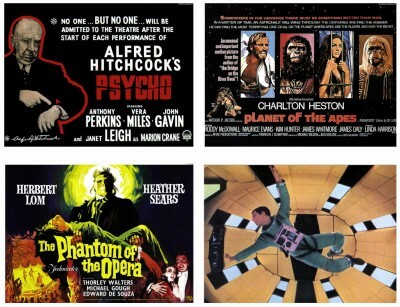 Corman realised that the combination of Poe and Price was unbeatable and the two regrouped for the subsequent five films in the series: Tales Of Terror (1962), The Raven (1963), The Haunted Palace (1963), The Masque Of The Red Death (1964) and The Tomb Of Ligiea (1964). 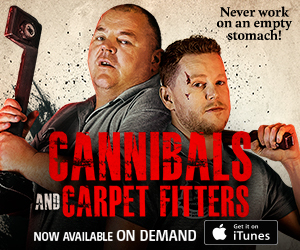 Of these adaptations, the last two remain the best. Corman’s direction is sophisticated while Vincent’s usual histrionics are downplayed in favour of mood. 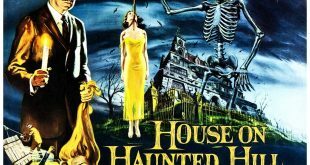 It should also be noted that The Haunted Palace takes only its title from a lesser-known Poe poem – the story is actually based on The Strange Case Of Charles Dexter Ward by H.P. Lovecraft. 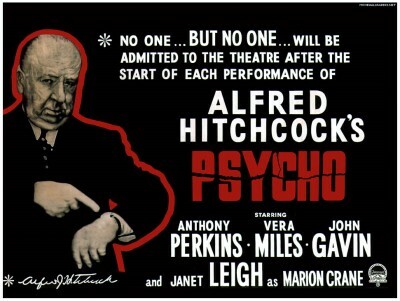 The year 1960 saw the true birth of serial killer movie, initiated by Alfred Hitchcock‘s masterpiece Psycho (1960). Utilising his television unit from the popular Alfred Hitchcock Presents series, the master of suspense shocked sensibilities everywhere with his terrifying portrait of Norman Bates (Anthony Perkins), a young man with an extreme mother fixation. What upset audiences so much with Psycho was that it upended expectations. The opening is developed along the lines of a crime thriller as we follow Marion Crane (Janet Leigh) in the execution of an impetuous robbery. While on the run she stops off at an out-of-the-way motel to spend the night. 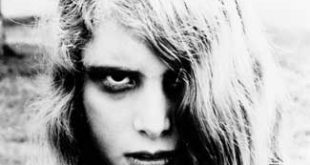 There she meets Norman, a nervous young man who looks after his handicapped mother in the house on the hill behind the motel. 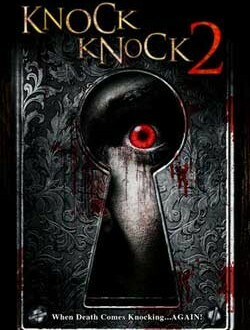 When Marion retires for the night she is viciously stabbed to death in her shower, apparently by an old woman. After more than half-an-hour of character development and building sympathy for the apparent heroine of the film, Hitchcock shook the audience with one of the most brutal and brilliantly edited murders ever committed on celluloid. Certainly many of Hitchcock’s films can be regarded as horror movies of the mind, delving into the disturbed psyches of his characters, from Jack The Ripper in The Lodger (1927) to the necktie strangler of Frenzy (1972). But it was in the sixties when Hitchcock directed his only bona fide fantasy film, The Birds (1963). Starring Rod Taylor and Tippi Hedren, it tells the terrifying story of a small Californian town besieged by birds – millions of them of every species imaginable. The Birds is an extraordinary film on many levels, not the least being the special effects. To achieve this Hitchcock combined real trained birds, animatronic models and optical tricks into a tour de force of visual horror. Perhaps the most complex sequence is that in which a flock of seagulls attack the town, cause a petrol station to explode and descend to peck and rend the flesh of the panicked townspeople. 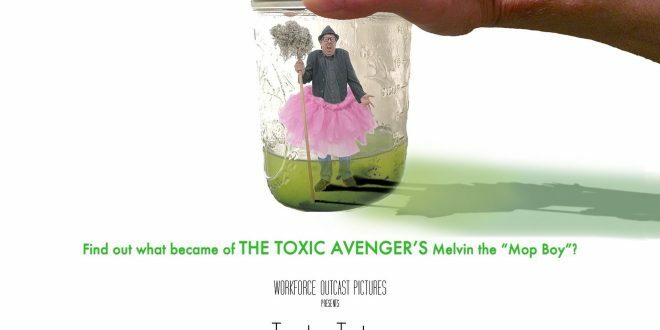 Hitchcock was a filmmaker who experimented. 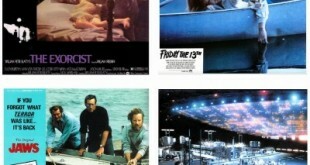 With Hollywood’s biggest budgets and studios available to him, he chose to make Psycho in black-and-white with a television crew, a relatively unknown cast and kill his leading lady midway, and with The Birds he challenged himself again by deliberately choosing a project that had no real story, no ending, no music soundtrack, and using less-than-top-shelf actors. Another filmmaker who constantly challenged himself was Stanley Kubrick who gave us a black comedy about the end of the world. Doctor Strangelove, Or How I Learned To Stop Worrying And Love The Bomb (1964) was originally planned as a straightforward thriller based on the novel Red Alert, but Kubrick realised the bleakness of the project as a drama and felt that more of a point could be made about the threat of nuclear war if the serious subject was treated in a humorous fashion. Director Robert Wise paid homage to his days with producer Val Lewton with the superior ghost story The Haunting (1963) for MGM. Based on the seminal Shirley Jackson novel The Haunting Of Hill House, Wise fashioned one of the cinema’s few genuinely creepy ghost stories, one of the best ‘things-that-go-bump-in-the-night’ thrillers ever constructed. Just as he had learned from Val Lewton, Wise made the unseen far more frightening through the use of sound and fine camera work, all the more effective in black-and-white. 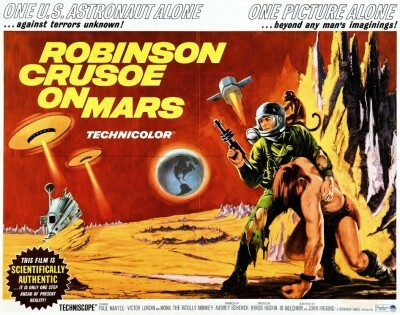 One of the more intriguing films of the mid-sixties was Robinson Crusoe On Mars (1964) directed by Byron Haskin which tells, in semi-documentary style, of the plight of an astronaut who finds himself stranded on Mars. With a minimum of special effects, Robinson Crusoe On Mars is an exciting survival epic as the space traveler makes his way to the Martian polar cap in hope of being rescued. Roger Corman also made an interesting science fiction film that year, with X: The Man With The X-Ray Eyes (1964) starring Ray Milland as a scientist who develops eye drops that allow him to see through clothes, walls and ultimately into the infinite itself. Although a little silly at times, X: The Man With The X-Ray Eyes remains one of Corman’s most underrated features. Although science fiction author Ray Bradbury had flirted with the cinematic medium before, providing the original stories for The Beast From Twenty Thousand Fathoms (1953) and It Came From Outer Space (1953). it wasn’t until 1966 that one of his most famous novels was adapted to the screen in the shape of Fahrenheit 451 (1966). Directed by Francois Truffaut, it tells the story of a rather bleak future when books are not only banned but burned, the title referring to the temperature at which paper ignites. 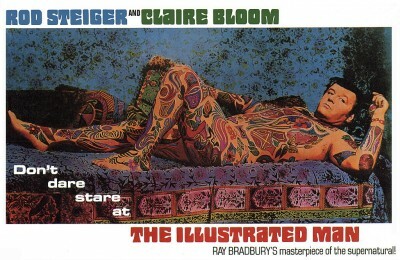 Bradbury was again adapted for Jack Smight‘s less than successful The Illustrated Man (1969). Richard Fleischer‘s Fantastic Voyage (1966) produced by 20th Century Fox indicated a new trend in science fiction with its story of a group of scientists (led by Stephen Boyd and Raquel Welch) who are miniaturised and injected into the bloodstream of a dying man and, with lasers, attempt to remove a tumor in his brain. The production design by Dale Hennesy and Jack Martin Smith, and the special effects by L.B. Abbott and Art Cruikshank overcame many tedious passages in the screenplay by Harry Kleiner. 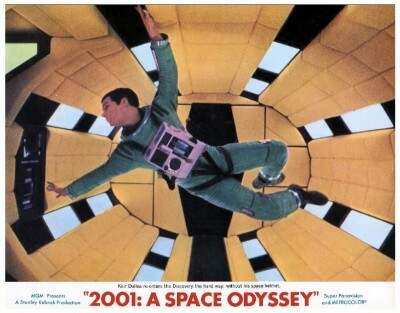 But what the success of Fantastic Voyage proved above all else was that big-budget science fiction was economically viable for Hollywood. A boom year for the fantasy genre dawned with 1968 Pierre Boulle‘s novel Monkey Planet, in the form of a screenplay by Rod Serling had been turned by Warner Brothers as being too expensive. The option had been picked up by 20th Century Fox, who realised the potential in the story. 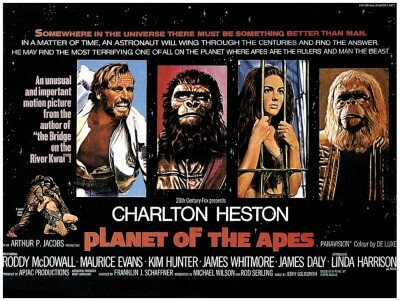 Planet Of The Apes (1968), directed by Franklin Schaffner and starring Charlton Heston, became one of the most successful films in the studio’s history and was popular enough to warrant four sequels – Beneath The Planet Of The Apes (1970), Escape From The Planet Of The Apes (1971), Conquest Of The Planet Of The Apes (1972), and Battle For The Planet Of The Apes (1973) – as well as two television series and at least two recent reboots – Planet Of The Apes (2001) and Rise Of The Planet Of The Apes (2011). 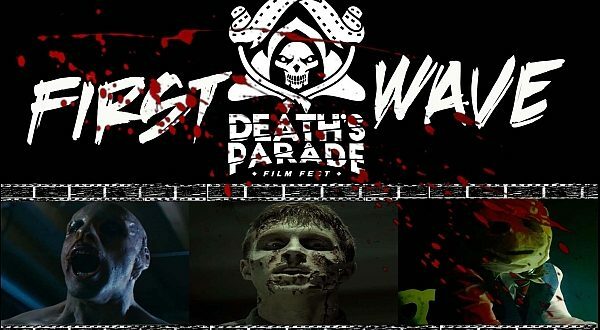 While the first three films were of a high standard, the other entries are little more than B-grade spin-offs, devoid of the wit or charm of their predecessors. Another box-office smash was Rosemary’s Baby (1968), directed by Roman Polanski and starring Mia Farrow as the mother of Satan’s child. It had a relatively big-budget for a William Castle production, based on Ira Levin‘s bestselling novel, and enthralled audiences with its carefully developed atmosphere of menace and fine performances by Farrow, John Cassavettes and Ruth Gordon. 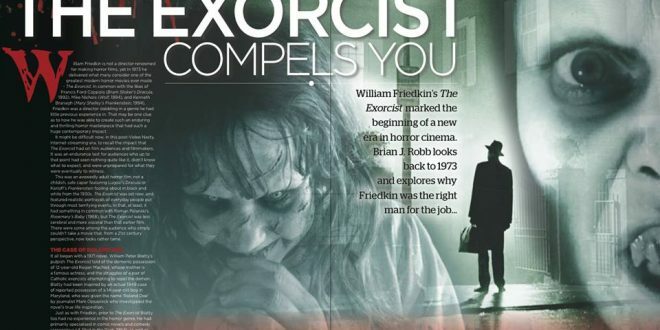 In what would become a trend in horror films, the powers of evil would triumph at the end of the story. 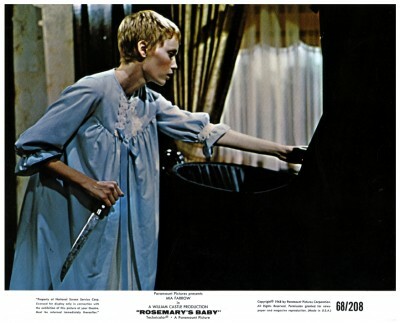 Despite the runaway success of Polanski’s shocker, it would be eight years before a sequel appeared, and then in the form of a rather mediocre made-for-television movie entitled Look What’s Happened To Rosemary’s Baby (1976) starring Patty Duke Astin in the role originally essayed by Mia Farrow. While Kubrick was revolutionising the public’s attitudes towards cinematic science fiction, another quieter and even more influential revolution was taking place in Pittsburgh USA. 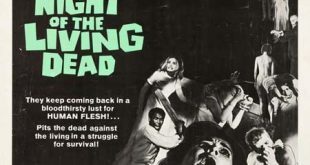 An advertising executive named George Romero got together with several of his colleagues to make a low-budget horror film entitled Night Of The Living Dead (1968). Shooting on weekends with an amateur cast and crew, Romero fashioned a monochromatic shocker which would have repercussions on the horror genre still felt today in its depiction of on-screen graphic gore and gut-wrenching violence. 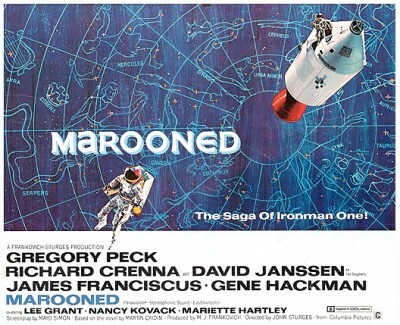 The decade rounded out with another big-budget science fiction entry in Marooned (1969) directed by John Sturges. A mediocre workmanlike effort at best, it tells the story of three American astronauts whose ship becomes disabled in space and who are rescued by a Russian spacecraft. 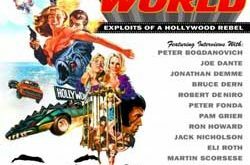 While the Oscar-winning special effects are very good indeed, the film itself is a drawn-out affair which never quite manages to attain the level of suspense to which it so obviously aspires. The basic story is okay but it’s not handled terribly well. And it’s on that sour note that I will respectfully request your persistence…I mean, presence next week, when your leg will be crudely humped by another cinematic dog from…Horror News! Toodles!